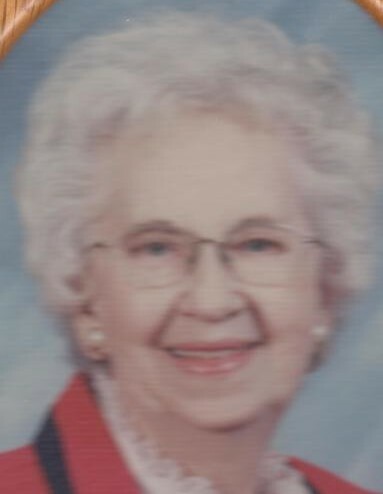 Obituary for Esther Jean Bell | Hile-Best Funeral Home, Inc.
Esther Jean Bell, 92, formerly of Rockland and North East, passed away early Thursday morning, January 24, 2019 at Independence Court in Erie. Esther was born in Nickleville, Venango County, on December 14, 1926. She was the daughter of the late Merle and Emily Weaver Cotherman. She was a graduate of Emlenton High School and was a member of the Rockland United Methodist Church and an associate member of Greenfield Baptist Church in North East. She was known in both churches for her love of music. She played the piano and organ for church services and weddings and also directed the church choir. Esther was married on January 18, 1947 to James Stanley Bell. She along with her husband owned and operated J&J Grocery Store and a service station in Rockland and the campground at East Sandycreek. Mrs. Bell was a Past Worthy Matron of the Order of Eastern Star. She enjoyed fishing in Canada and most especially the company of her grand kids and great grand kids. Esther is survived by her son, Michael Bell and his wife Patsy of Rockland, her daughter Peggy Myers and her husband Dennis of Waterford, six grandchildren, Dr. Brian Myers, Michelle Christie and her husband Dr. Eric Christie, Dr. Micalyn Baney and her husband Dan, Ryan Bell and his wife Sara, Emily Findlay and her husband Jarrett, and Tyler Bell. Sixteen great grandchildren survive, Breanna, Dristin, Garrett, Easton, Caden, Thatcher, Donnovan, Macaven, Maven, Lauren, Rachel, Hayden, Carter, Parker, Cash and Wyatt. Also surviving are two great great grandchildren, Logan and Farryn, as well as several nieces and a nephew. In addition to her parents and husband, she was preceded in death three brothers and their spouses, Arnold and Dot Cotherman, Paul "Dink" and Toots Cotherman, and Stanley "Link" and Dode Cotherman, two sisters and their spouses, Isabelle and Jack Boyd, and Erma and Leon Shoup. Friends will be received at the Hile - Best Funeral Home 2781 Rte. 257 Seneca, Cranberry Township, on Sunday from 1-5pm. A funeral service will be held at 12 noon on Monday from the Rockland United Methodist Church 4357 Kennerdell Rd. Kennerdell, with the Rev. James Kimmel, church pastor, officiating. Interment will be in Rockland Cemetery. In lieu of flowers, the family suggests following in Esther's footsteps and doing something kind for someone. Memorial contributions in Mrs. Bell's name may be made to the Rockland United Methodist Church 4357 Kennerdell Rd. Kennerdell, Pa 16374 or to the Greenfield Baptist Church 9028 Williams Rd. North East, Pa 16428. For more information or to send a condolence, please visit www.hilebest.com.